Matt Damon goes to extreme lengths to protect his family in the first trailer for George Clooney’s “Suburbicon,” which Paramount released Thursday timed to its addition to the Venice Film Festival lineup. Written by Joel and Ethan Coen, who often collaborate with Clooney, the 1950s-set film centers on Gardner Lodge (Damon), a husband and father forced to take matters into his own hands after his home is invaded. Julianne Moore co-stars as a family member who moves in to help Lodge out following the incident. By the looks of the trailer, the pair make some very bad choices along the way, including murder. Josh Brolin and Oscar Isaac co-star. The Coen brothers originally planned to direct the film themselves with Clooney in Damon’s role, but the actor convinced the pair to let him helm it instead. “Suburbicon” opens in the thick of awards season on Oct. 27. 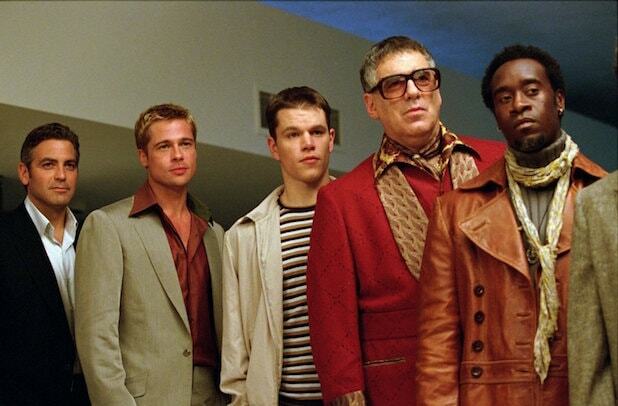 After 15 years, the A-list cast of "Ocean's Eleven" has remarkably retained their star power. Coming off Oscar noms for "Traffic" and "Erin Brockovich," director Steven Soderbergh chose to make a movie "with no social value whatsoever," but it has proven to have more value than anyone first gave it credit for. TheWrap has teamed up with IMDb to share 11 enthralling facts about the crime caper. Bruce Willis was originally set to star, but ultimately decided to bow out. "By the time I got to it, all the good stuff was done and I wanted to play one of the gang,” Willis said in 2000. He eventually appeared in a cameo role in "Ocean’s Twelve." Matt Damon’s part as Linus Caldwell was meant for Mark Wahlberg, who ultimately starred in a remake of another classic, “Planet of the Apes” instead. The NY Daily News reported in 2000 that Wahlberg criticized fellow Bostonian Damon, saying "he wants to have been to jail, and say he's tough." Luke and Owen Wilson were originally slated to play the brothers Virgil and Turk, parts that eventually went to Casey Affleck and Scott Caan. The Wilson brothers devoted their time to Wes Anderson’s “The Royal Tenenbaums” instead. Shaobo Qin, who played the “greaseman” Chinese acrobat The Amazing Yen, made his motion picture debut with "Ocean's Eleven." He is a professional acrobat and contortionist in real life, and he has also appeared in both "Ocean's" sequels as well. But the acrobat has never acted in any other film. Julia Roberts said in an interview that she fell asleep twice trying to watch the original "Ocean’s 11" (1960), starring Frank Sinatra, Dean Martin, Sammy Davis Jr., Joey Bishop and Peter Lawford. George Clooney "charmed" Julia Roberts into starring in the film by sending her the script with a $20 bill attached. (She had just starred in Steven Soderbergh’s "Erin Brockovich"). "I heard you're getting 20 a picture," he wrote. She said in an interview with Barbara Walters that it was the first time she was paid to read a script. Don Cheadle, who plays Basher, is actually uncredited in the film. “With 'Ocean’s,' there was some stuff that happened behind the scenes that I didn’t like how it went down, so I just said, 'take my name off it,'" he said in an interview in 2009. Don Cheadle was embarrassed about the Cockney accent he used in the film and eventually apologized for using it. It’s considered one of the worst British accents performed by an American actor. Soderbergh said the original script was 165 pages, whereas the final version is only 115. “It wasn’t until three weeks into editing that I felt we’d been successful in keeping everyone in the same film,” he said. In order to make the film a reality, all the major stars, including Clooney, Pitt and Roberts, had to take a significant pay cut. The cast stayed at the Bellagio in Las Vegas during filming in 7,000 square foot villas. Clooney apparently lost some money gambling at the tables. Read more "Ocean's Eleven" trivia, quotes and goofs on IMDb.